The gripping second season premiere of “El Chapo,” a co-production between Story House Entertainment and Netflix, reached 3.4 million Total Viewers 2+ who tuned in to all or part of the one-hour broadcast, while also positioned Univision as the No. 1 Spanish-language network, out-delivering its closest competitor by double-digit advantages among Total Viewers 2+ (+33%), Adults 18-49 (+55%) and Adults 18-34 (+48%). Kicking off with the infamous first escape from prison in its second season premiere telecast, Univision’s hit series “El Chapo” averaged 1.5 million Total Viewers 2+, 714,000 Adults 18-49 and 323,000 Adults 18-34 and made it the No. 3 broadcast network, ahead of ABC during the 10pm hour among both Adults 18-49 and Adults 18-34. Audiences continue to respond to captivating stories that are inspired by real life events. Season 2 of ‘El Chapo’ delivers the perfect blend of fact and fiction through high-caliber entertainment, offering diverse audiences more of what they want. This new season promises to give our audiences—across various platforms—a deeper look into the kingpin’s rise and fall as they watch Joaquín Guzmán evolve into ‘El Chapo.’ — said Camila Jiménez Villa, President and Chief Content Officer of Fusion Media Group (FMG). 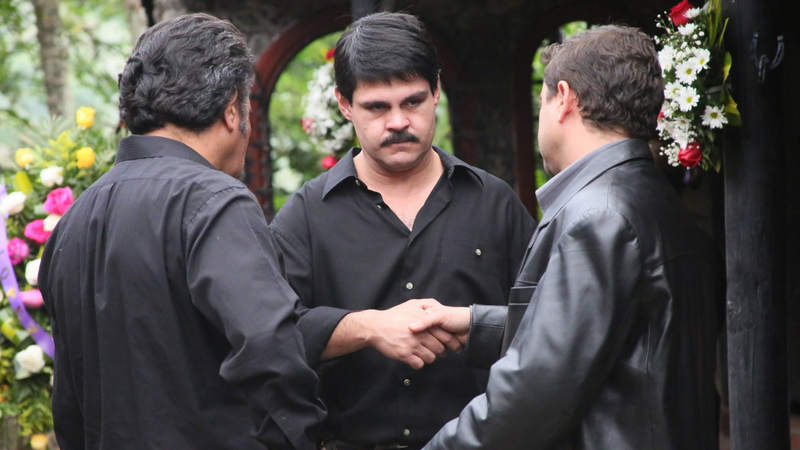 The 12-episode second season of “El Chapo” airs Sundays at 10 p.m. ET/PT on Univision Network. See the full Sunday night ratings release from Univision here.